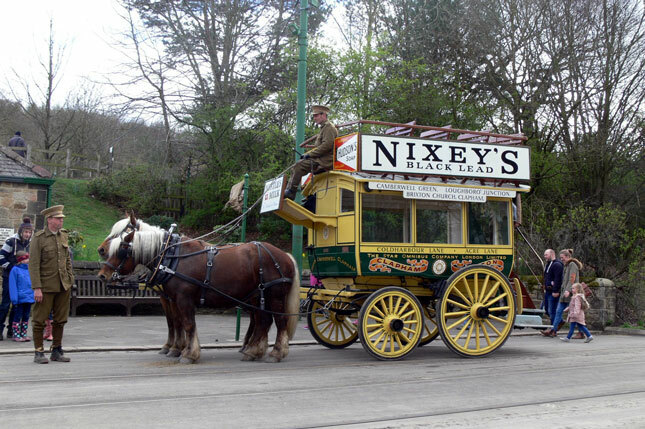 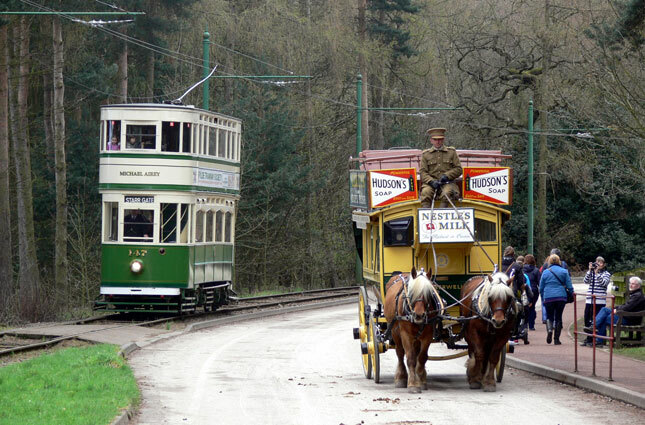 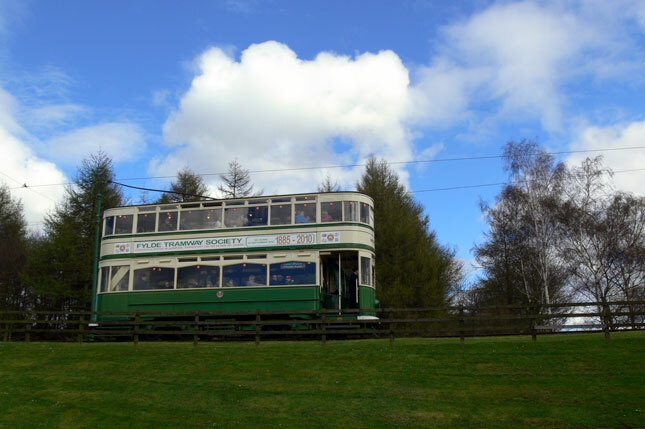 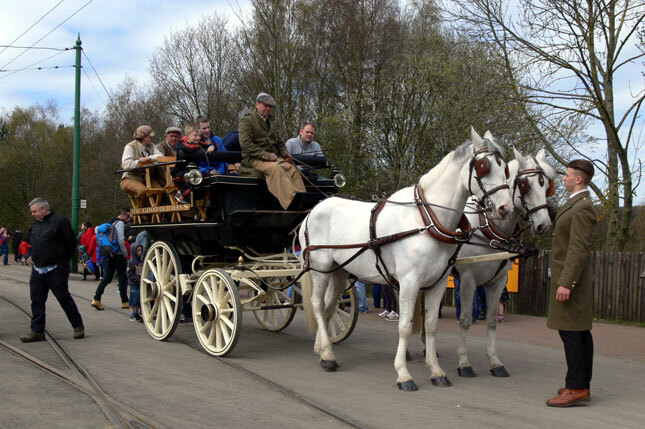 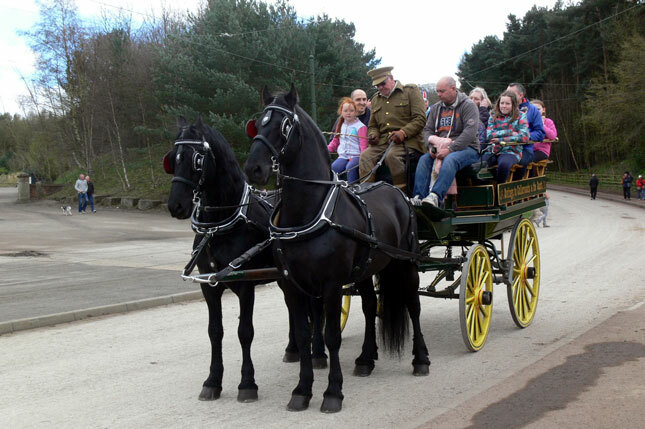 Sunday 17th April was the second day of Beamish Museum's 'Horses at War' event, part of the annual spring transport festival. 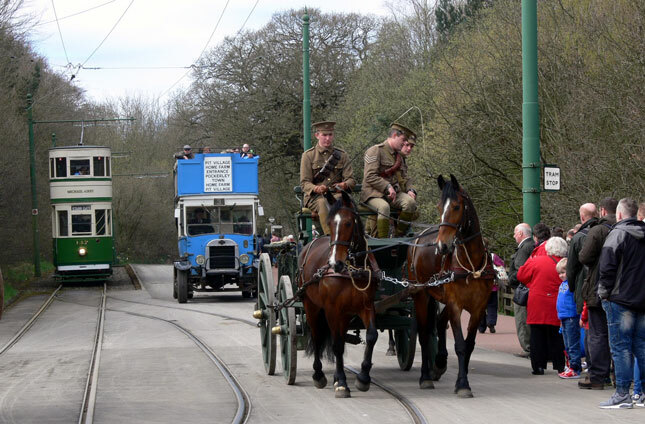 Predominantly showcasing the role of horses during the First World War, this event saw a huge array of horse-drawn vehicles in action around the site, mingling with the trams and other period road transport to create a stunning spectacle. 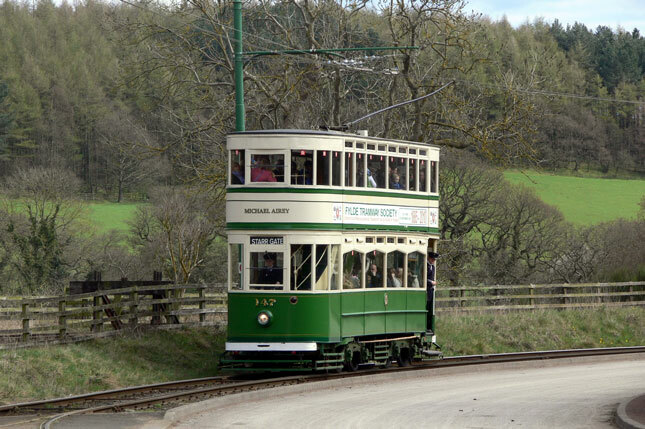 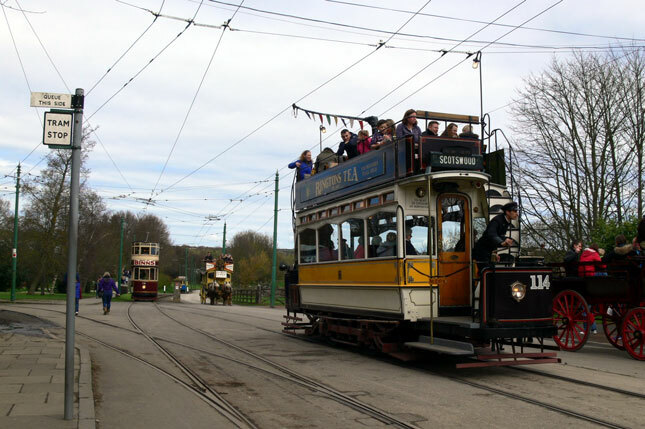 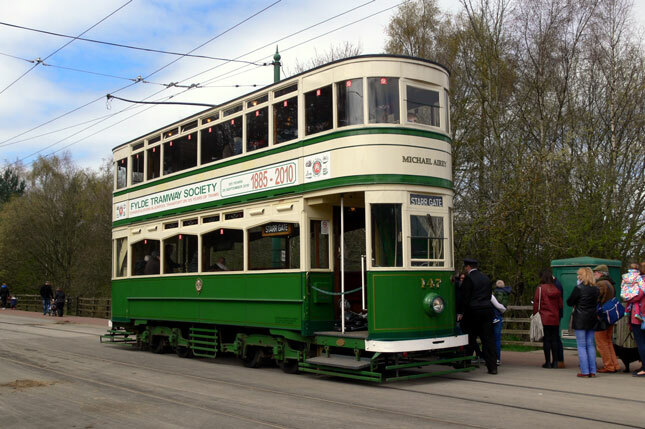 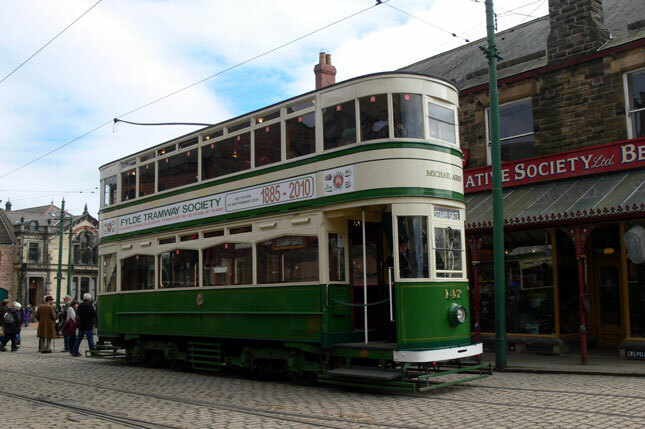 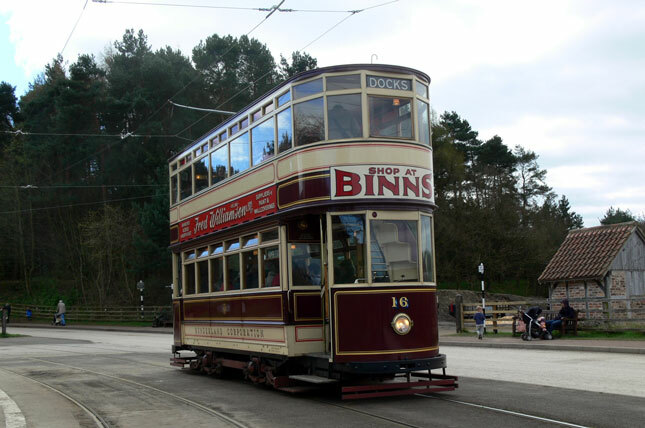 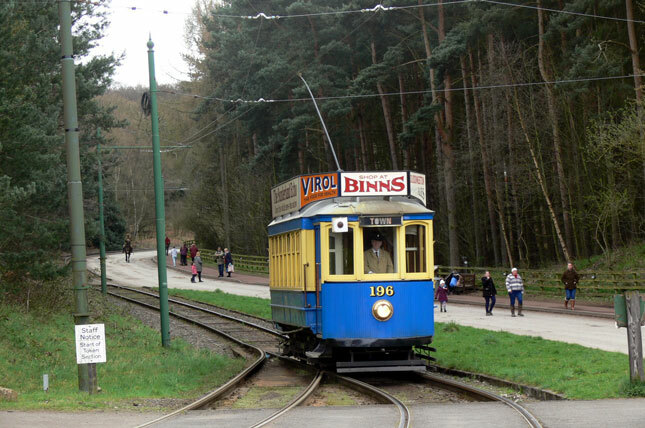 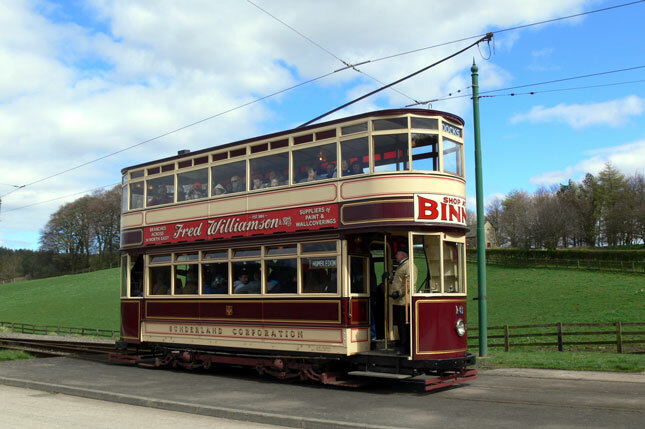 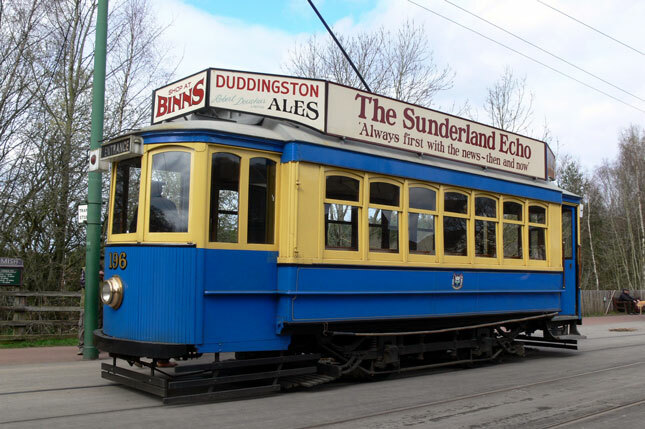 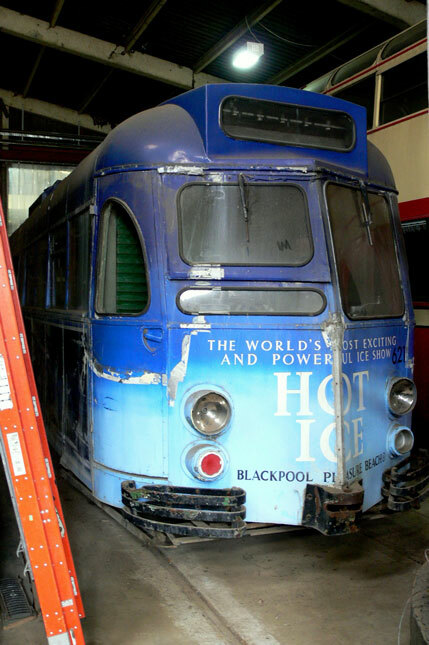 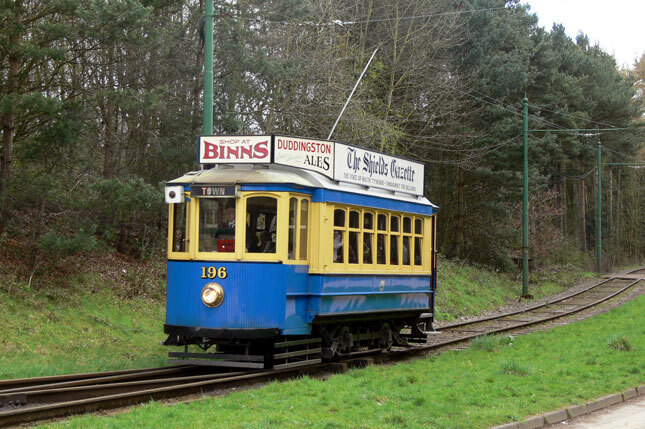 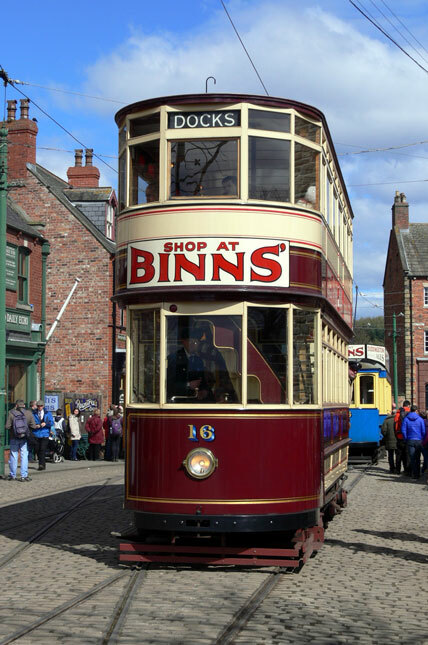 On this day for trams were in service, comprising Sunderland 16, Newcastle 114, Blackpool 147 and Oporto 196, all of which were unusually running anti-clockwise around the circular tramway route. 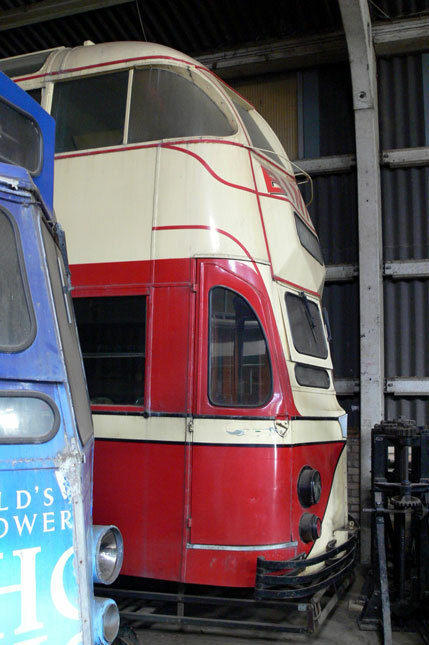 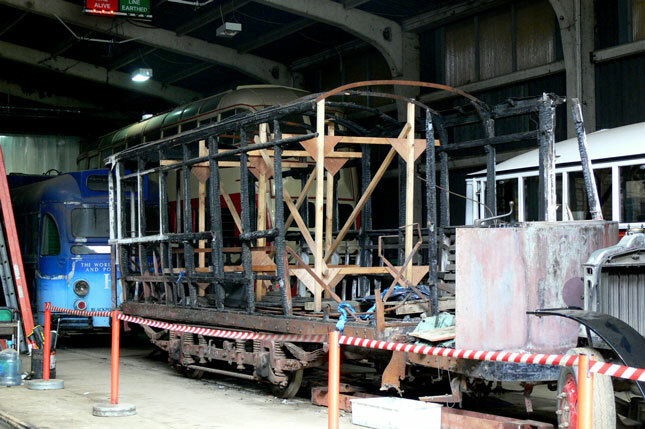 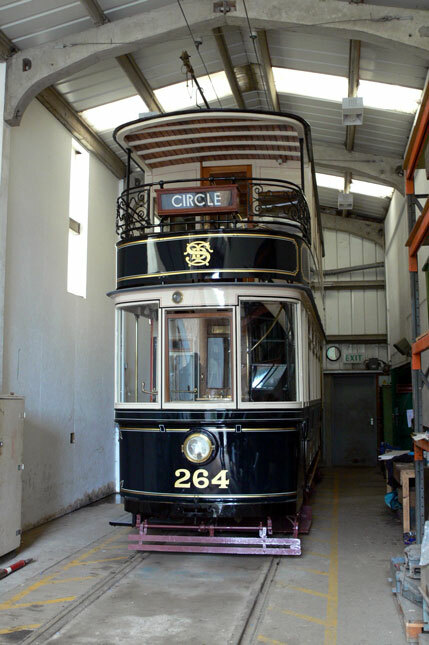 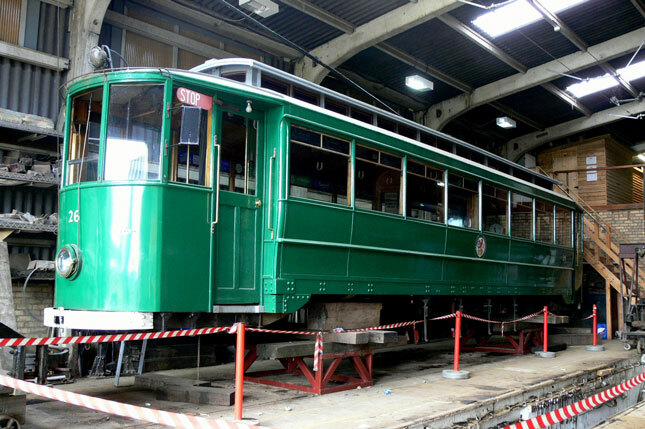 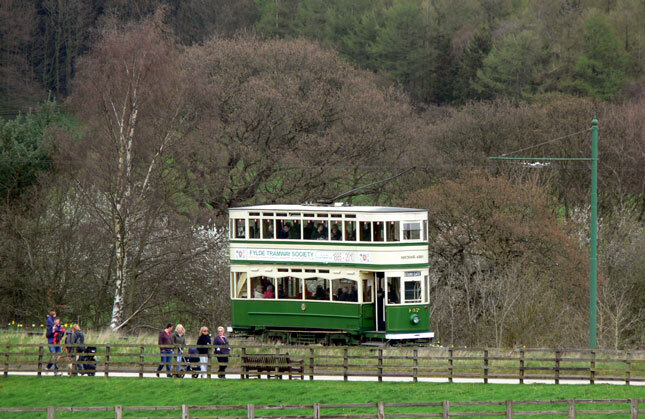 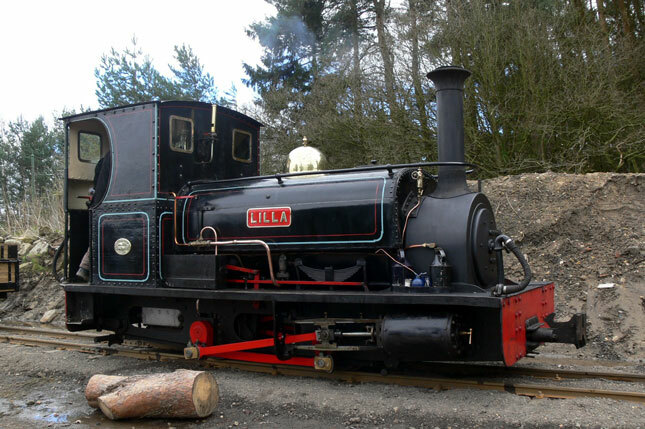 As well as all four trams in service, this gallery also includes a small selection of images showing some of the magnificent horses and vehicles being demonstrated during the event, as well as a look inside the museum's tram depot - thanks to Paul Jarman for granting depot access for this. 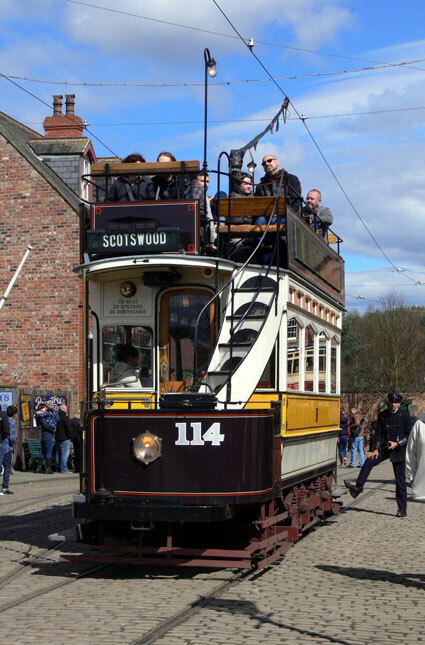 All Photographs in this collection were taken by Andrew Waddington on Sunday 17th April 2016.